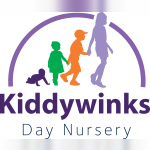 Kiddywinks is a 'good' Ofsted rated small dedicated team of one owner, a manager and 4 members of staff, we employ fully qualified staff and update our training regularly, we also employ an apprentice. The care we offer at Kiddywinks is based on caring adults responding to the children’s needs in a homely atmosphere. We offer full day care, before/after school care and a collection service and holiday club. Currently we are offering 20 hours free funded childcare from September 2016. Register now! Below are the latest reviews for Kiddywinks. Please note that reviews represent the subjective opinions of other Childcare.co.uk users and not of Childcare.co.uk. Parents must carry out their own checks and references on childcare providers to ensure that they are completely happy before enaging in the use of their services. Both of my children attend Kiddywinks nursery and we couldn’t be happier with the care and support both of them have received. My daughter attends at school holidays but was a regular pre-school visitor and now my son attends and both have developed well and quickly with the help of the kindness and care of the staff and well structured learning programs they offer. Highly recommended to anyone who is anxious about leaving their children for the first time, definitely worth their weight in gold! My daughter started kiddy winks in Jan and she absolutely loves it there the staff are lovely and very attentive it's like home from home. My daughters confidence speech has come on so well since starting kiddywinks. I would highly recommend them!